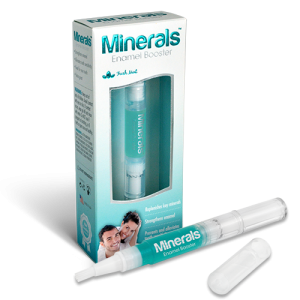 Minerals Enamel Booster does not whiten teeth, however, it can help to keep a smile white. 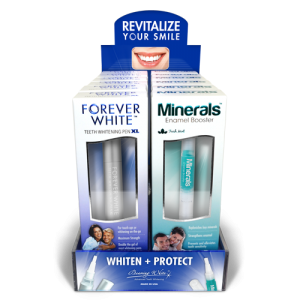 Do your customers a favor and recommend that they apply Minerals™ Enamel Booster to their teeth after a teeth whitening treatment. 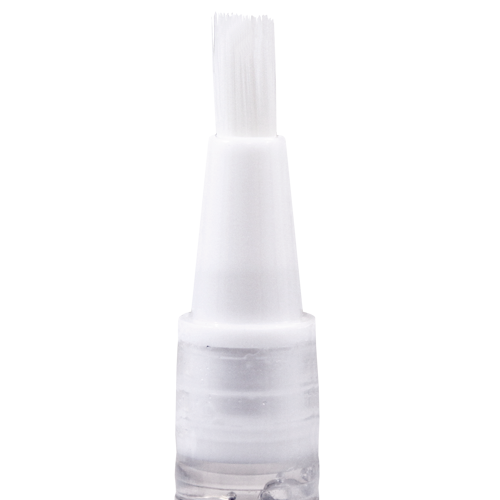 MInerals is a remineralizing and desensitizing gel that contains fluoride, calcium phosphate, and potassium. 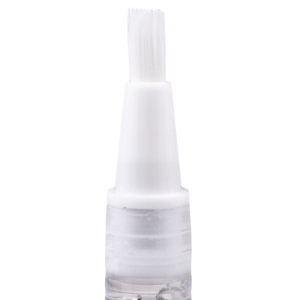 It seals and strengthens tooth enamel and helps to alleviate minor tooth sensitivity. 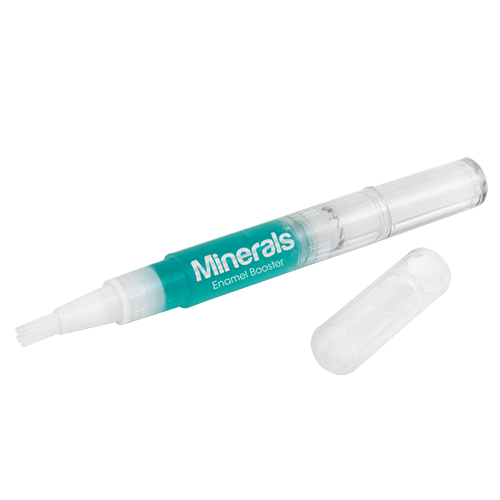 Research shows that remineralizing gel increases the micro-hardness of bleached tooth enamel – which is a GOOD thing! 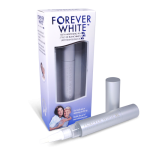 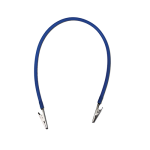 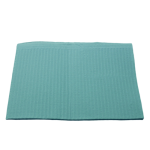 This makes the teeth stronger and more resistant to abrasion and stains. 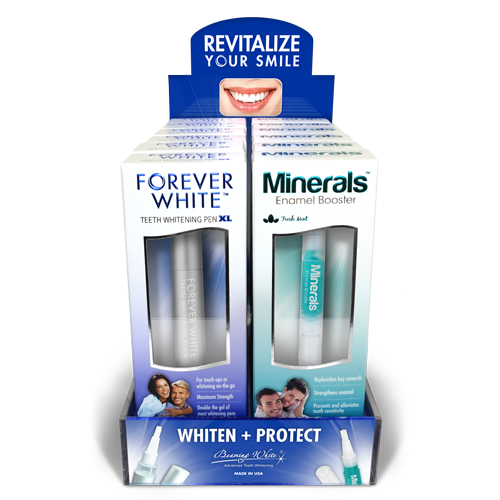 Things like eating, drinking acidic or sugary drinks, and teeth whitening can temporarily soften tooth enamel. 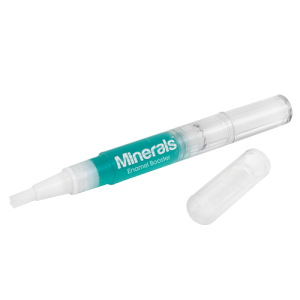 Saliva eventually restores the hardness of tooth enamel after these activities but Minerals Enamel Booster accelerates and enhances the natural hardening process, significantly. 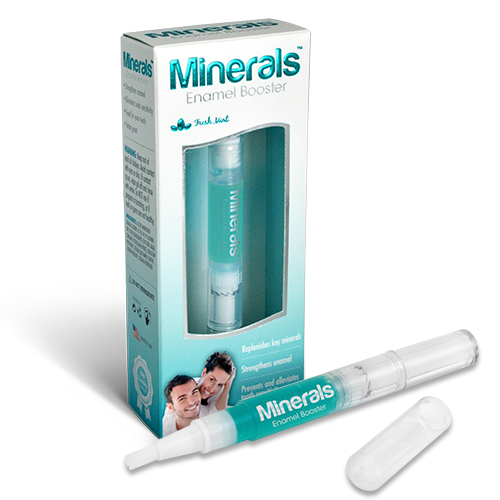 If your customers care about their teeth, recommend Minerals Enamel Booster.